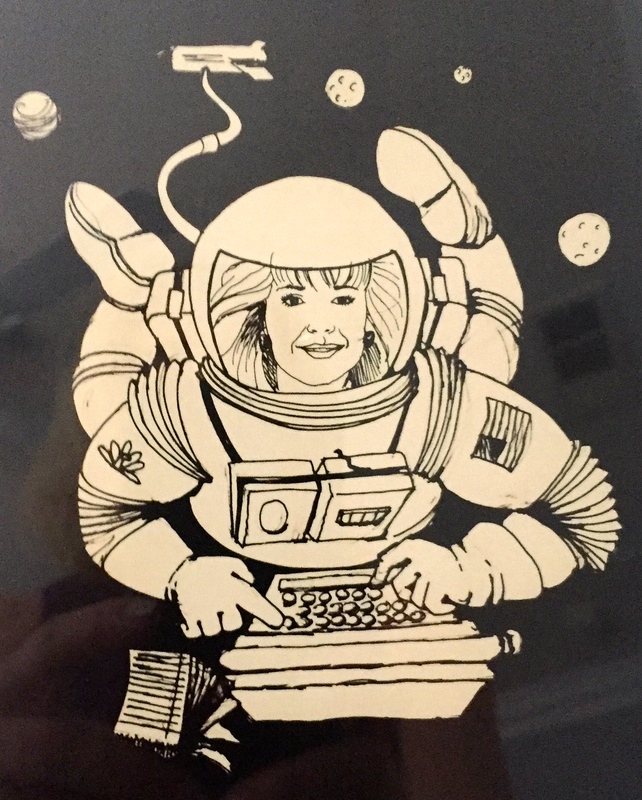 NBC’s cute cartoon of me as a National Semifinalist for the Journalist in Space program. By 1986, the glory of the moon shots had faded. News organizations had come to take the space program for granted. On January 28, 1986, the space shuttle Challenger exploded 73 seconds after liftoff, killing all seven crew members. Few news outlets had even bothered with live coverage of the launch — until after it went horribly wrong. I was immediately put on a Lear Jet to the Kennedy Space Center to cover the story for the NBC-owned stations. 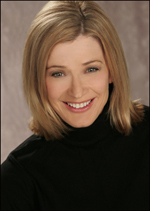 And despite having a broken satellite truck and a surly producer who had just learned he was being fired, I did the best I could to fill in the details of the story, with a heavy heart. At the time of the Challenger disaster, news organizations had come to take successful space shuttle launches for granted. Among those killed in the Challenger disaster was teacher Christa McAuliffe, the first ordinary civilian to fly on a NASA mission. The journalist was to have been the second. 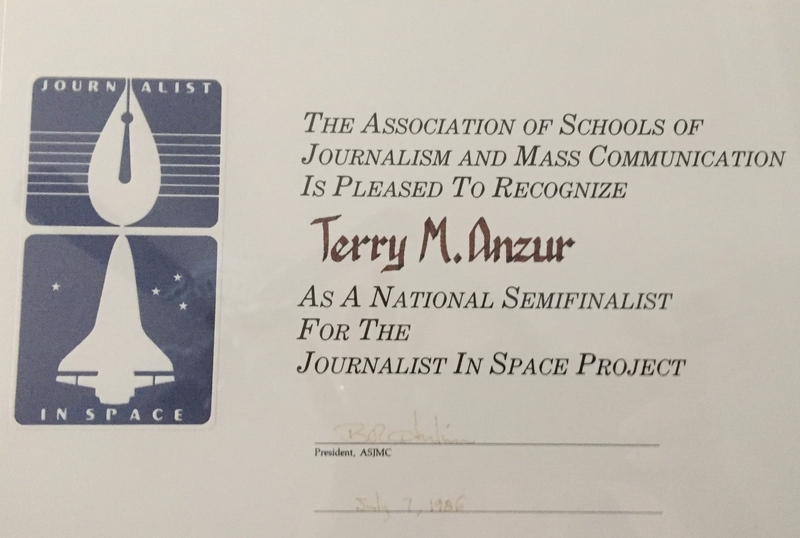 A few days later, NASA put the journalist-in-space program on indefinite postponement. The selection process, however, went on under the supervision of the Association for Education in Journalism and Mass Communication (AEJMC). I was among the 100 regional finalists. After being interviewed at the University of Iowa, I found my name at the top of the alphabetical order on the list of the Final 40 National Semifinalists. My name was on the top of the alphabetical list of the Final 40. A one in 40 chance of a rocket ride into space? I liked those odds, despite Challenger’s sobering reminder of the fine line separating triumph from tragedy in space exploration. 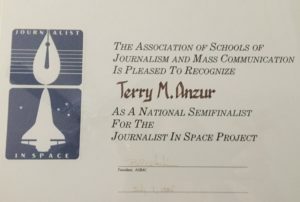 And the realization that I was competing with some pretty distinguished names like CBS anchor Walter Cronkite and longtime NBC space reporter Jay Barbree. The NBC newsletter featured a cute cartoon of me in a space suit. I covered the Challenger inquiry with fingers crossed. The September launch date came and went. My potential ticket to space was eventually cancelled. 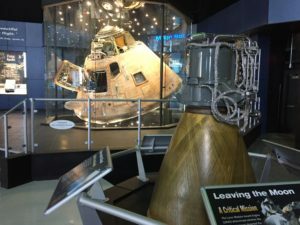 Recently, I visited the US Space and Rocket Center in Huntsville Alabama. Read my travel blog post here. Walking out of the museum building, I was overwhelmed by the view of the space shuttle Pathfinder, a demonstration orbiter that never flew. 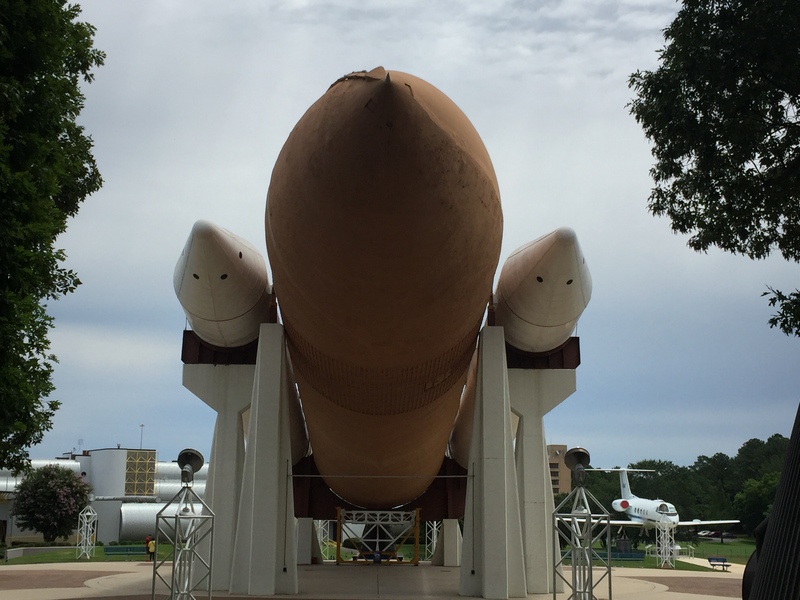 Los Angeles also has a space shuttle on display, but this is the only place in the world where you can see the entire shuttle stack with the rocket boosters and external fuel tank. 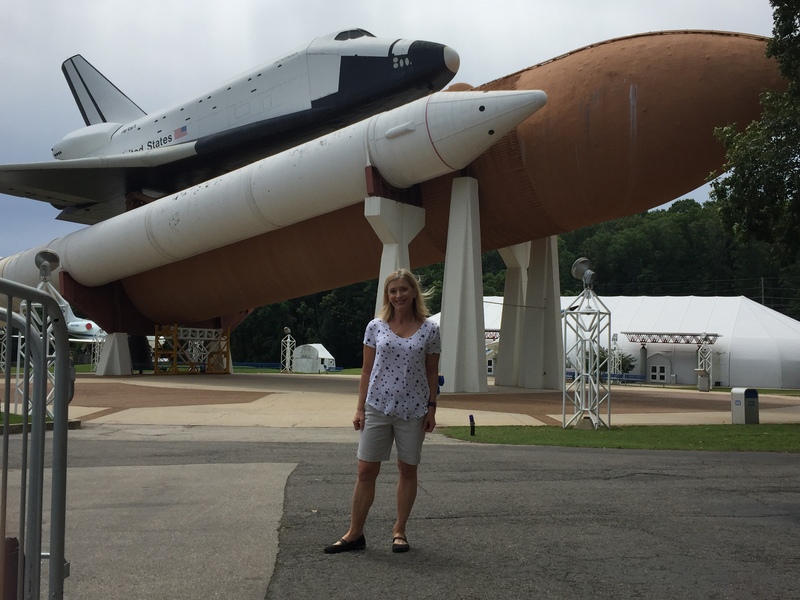 I joined an international crowd of dreamers on the space rides. 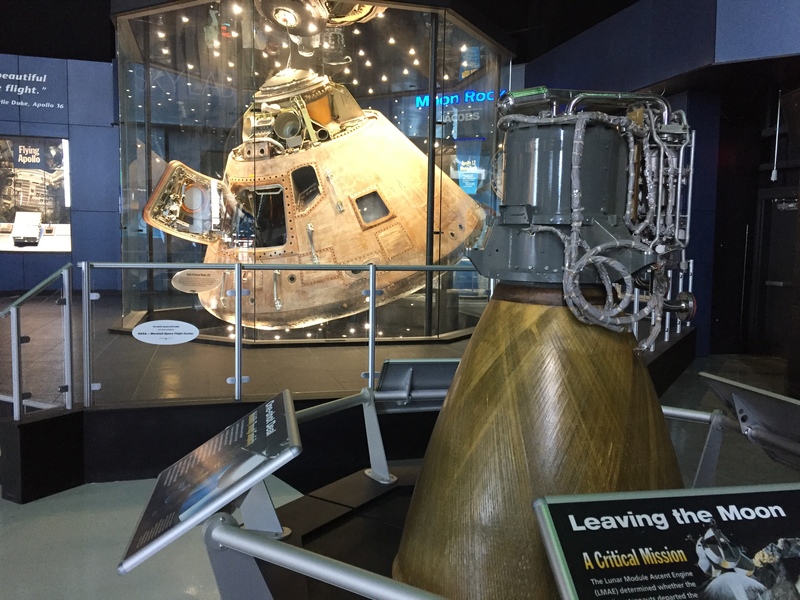 Students streamed out of Space Camp and gleefully interacted with the exhibits. I thought about the journalist-in-space mission that never was. Jay Foster was Head of Manufacturing and Engineering for the Saturn V rocket program. He volunteers as a docent. 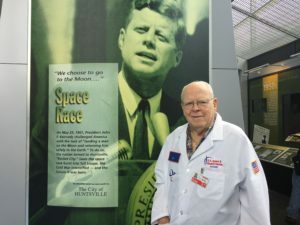 In the Saturn V rocket hall, I met a volunteer docent in a white coat. Jay Foster had worked alongside German rocketeer Werner Von Braun to propel Americans into space from the beginning. I lamented how Americans bound for the International Space Station must now hitch a ride on a Russian rocket. Not to worry, said the 86-year-old rocket scientist with a twinkle in his eye. We’ll be back. 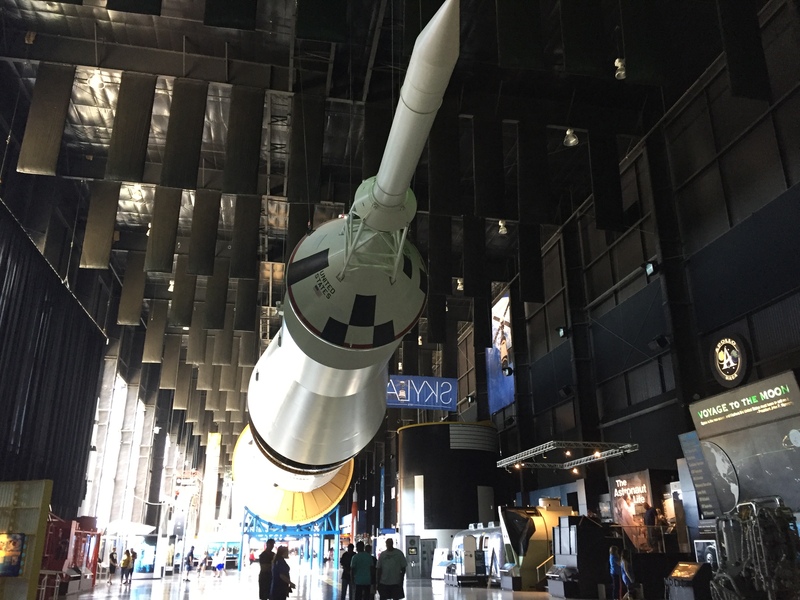 Visitors are dwarfed by the mighty Saturn V rocket.